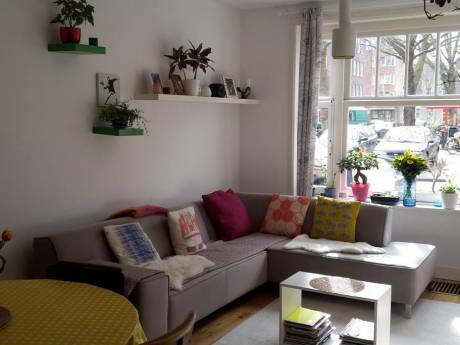 Amazing penthouse in the heart of Amsterdam, super-spacious living room (150 square meters), 60 inch Plasma and Dolby 5.1 Surround System (the neighbor loves it ...). Bed room with XL-king size bed (Swissflex luxury mattress), children room for 1 kid; the couch in the living room would sleep an additional 3-4 kids roughly! 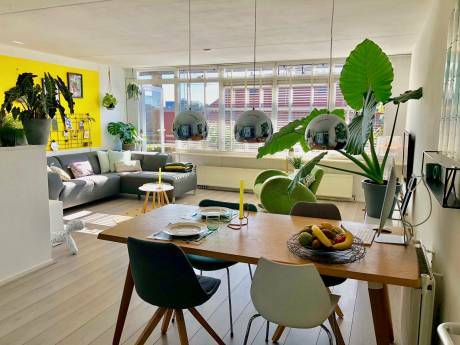 Right in the heart of town, parking on the premises, walking distance to van Gogh museum and Leidseplein, organic premium grocery shore within 3 minutes walk (the Dutch version of Whole Foods). We are a couple with a 7 year-old boy and a baby arriving in May! Arne is a Portfolio Advisor with Shell and Julia is a teacher. Stylish furniture, super-nice chill-out spot on the roof terrace in the heart of town.